It has been a while since I had the pleasure of a Furious by Surly Brewing Company. It is easily one of my favorite American IPAs. In fact it is in the team photo as one of my favorite American craft beers. Since stopping at the brewery on the family vacation in 2010, I have only had Furious on a few select occasions. Therefore I was delighted to here that Rich had to head up to Minneapolis for business. Better yet, he was driving. Load up the car! After sharing a Furious at Rich’s house shortly after the trip, I realized that the three 4-packs were ridiculously short sighted on my end. I think I forgot how much this beer makes my senses happy. I went through four of them in a “controlled” weekend as well as a Coffee Bender. Why didn’t I buy more? Was thinking the wife might be angry if I spent too much. Of course, after the fact, she said I should have pulled down a case. Crap, missed opportunity. This beer is delicious no matter which new hop hits the market. I plan on having the last eight cans over the next couple of weeks; that’s as long as I can make them last. The best part about it: the beer is only 14 days fresh. Yummy. Enjoy! Useless Fact: Grapes explode when you put them in the microwave. Although I didn’t get a chance to hit up Darkness Day this year a friend of mine, Ed, made the journey. Besides scoring me a bottle of 2011 Darkness, he also brought back some Furious and Coffee Bender. Two of my favorite beers from Surly Brewing Company. Even though I am not a fan of coffee, when it comes to an American craft beer being infused with coffee: I am a fan. Coffee Bender, which weighs in as beer number 332, is infused with coffee and does a great job doing so. Roast, dark chocolate, and bread accent the coffee in the both the nose and mouth. A medium body that is helped by a solid carbonation, Coffee Bender goes down quite easily, enticingly. Enjoy! Useless Fact: James Buchanan was the only United States president never to marry. During his term in office, his niece Harriet lane played the role of First Lady. American craft beer was on high alert as we had our monthly get together of TNBC. More on another blog about this (if Shawn get’s me the results) but the theme of the evening was lagers. An interesting theme actually. When I started thinking about the ratio of ales I have to lagers, there was no comparison. I almost don’t even think about lagers, period. If I do, it is usually in terms of the macro American adjunct lagers. That is not a good topic with me. Unexpectedly the evening yielded quite a nice group of lagers. 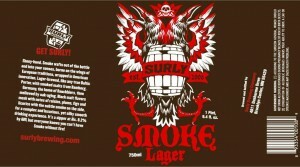 Leading the way was Smoke by Surly Brewing Company. Picking this beer as the favorite of the night and as beer number 119 is a small miracle. If you have followed the blog at all you will know that I hate smoke in my beer. A beer named “SMOKE” makes me nervous. Smoke, though, is nicely smoked in such a way that it doesn’t take over the beer in the aroma or in the mouth. There is enough in both instances to let you know they are there but they are no bothersome or over accented. The smoke in the mouth comes late and gently stays for a few seconds before inviting for another go around. I am actually glad that I have this beer in my cellar but I would definitely have to share the 750ml with friends. Enjoy! It was a sad day as the consumption of Bender by Surly Brewing Company marks the last one of their fine American craft beers that I had in the cellar. Oh, I have some of their bigger, cellaring beers, but no Bender, Furious, Coffee Bender, etc. Probably out of the lot listed, I would have to say that Bender is my least frequent flier but it is still rated as an 8.0; showing you what I think of the others. Bender is a malty beer that has enough complexity and hops to make it easy drinking and way above average. Chocolate, coffee, and dark fruits (minor) all come out either in the nose, mouth, or both. There is a sweetness that abounds but is tapered back by deeper, roasted aromas and flavors. Quite a solid brown. Enjoy! Useless Fact: Because radio waves travel at 186,000 miles (299,274 km) per second and sound waves saunter at 700 miles (1,126 km) per hour, a broadcast voice can be heard sooner 13,000 miles (20,917 km) away than it can be heard at the back of the room in which it originated. Surly was a brewery that I was fortunate to go visit twice this past year: Surly Darkness and a family trip. Surly makes some really great American craft beers, getting a chance to have them fresh and on tap was something I didn’t think would happen but my wife, being the good trooper, agreed to a trip to Minnesota and my taste buds were happy. I have to admit the first time I had CynicAle I was a little of, well, a bit of cynic. Even though I have savored quite a few American craft beer Belgians, I just always expect the worst. In Surly’s case I think I was over the top as I know they are known for other more “American” styled beers. Could they really be that good that they could pull off a solid Belgian to go with their quality line up of beers? Obviously this isn’t my first CynicAle, which should very quickly lead you to the answer I surmised from my question above. There is a nice layer for light fruits to this beer that really make it juicy and refreshing. The one slight problem I had with this beer was that it seemed a bit on the light side. That aside, I could drink several of these as the typical Belgian spices are spiked, because, at times, the pepper can be difficult to take in anymore than small doses. Enjoy! Useless Fact: The thyroid cartilage is more commonly known as the adams apple. I was first introduce to Furious by Surly in 2009 by my friend Ed. He mentioned that a friend of his from Minnesota had brought back this great American IPA. 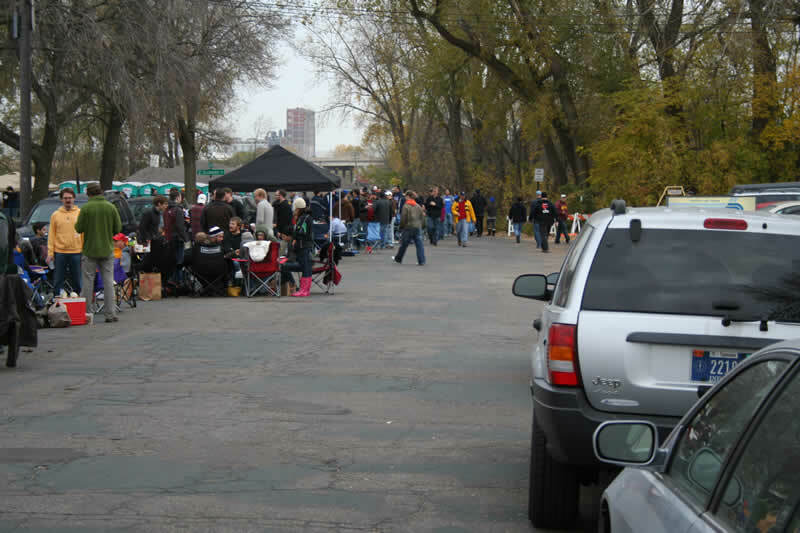 I was skeptical because the only thing I thought MN was good for was fishing. But Ed never led me wrong before. Last night I partook my last Furious. It was still left over from Darkness which meant it is getting a little on the old side as I only like my IPAs young and fresh. Still, the piney hops were abundant with just a touch of resins starting to show through. I had the beer in my possession for over 2 months and it was still very drinkable, not bad and something to remember for the future. But, if I have my choice, it will still be for a fresh can. Enjoy! Useless Fact: One million Americans, about 3,000 each day, take up smoking each year. Most of them are children. American craft beer and Thursday nights go really well together for Rich and I. We work on the site, review a few beers, and are usually genuinely happy with a constructive evening. Lately the number of beers has dipped but I don’t think that is a bad thing. We have become to enjoy them more by discussing what we think of each one. Our ratings, per beer, has also become more in sync with us barely ever being off about .3 – .4. In the scheme of things, that is close. This week we tried a group of beers I brought back with from my Darkness trip that I had made with Mark this past week. The theme, outside of the last beer was wet hopped beers. Each beer was good in its own right but Wet took the show. How can a wet hopped Furious be bad? Not a bad night to get primed for the weekend. Now I just have to figure out if a Darkness is the right beer for Halloween on Sunday. Enjoy! Saturday was a wonderful time at Surly Darkness Day. Mark and I had the chance to taste Moe’s Bender and meet a few interesting American craft beer nuts while waiting in line. My write up on Darkness is coming tomorrow, hopefully.